Kas is an Australian brand of luxury designer bedding. 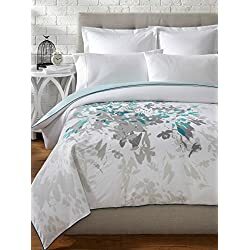 Originating in Sydney, Kas is becoming popular for its range of contemporary designs in linen bed sheets, comforters, and other bedding products. Kas bedding products come in that category of luxurious and designer bedding products, which offer a high degree of comfort and durability. 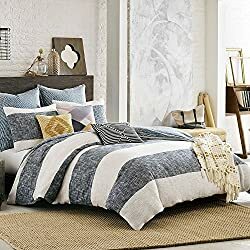 Kas offers many bedding collections, if you want to buy your bedding set as a whole, which you can browse on their website or in numerous other retails sites and shops. 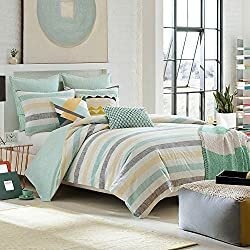 Kas luxury bedding collections basically come in five broad categories that include Kas onyx, Kas white, Kas kids, baby Kas and other Kas beddings. These collections are updated regularly with new and fresh designs. Their ambience collection possesses the ability to transform the look of your bedroom and give you the feeling of being in the lush hinterlands or the surrounds of a rugged outback. These beautiful ambiance ranges feature stunning contrasts and breathtaking color combinations. The more flamboyant ambience collections include holiday themes, with bright and vibrant colors which exuberate liveliness and youthfulness. Kas is known to blend natural fabrics such as cotton, silk and linen with a high thread count. Combining elegant designs with high quality tailoring, the Onyx collection is for people who like to keep it simple and graceful. Kas white is simple and arguably the most sober range of bedding products from Kas. Kas’ Egyptian cotton sheets are the epitome of durability and softness. They come in various patterns to choose from. If you are buying from authentic Kas retailers, then you will definitely get the original Egyptian cottonsheets. But take care while buying from elsewhere, as they can very easily be made of microfibers and made to look like real Egyptian cotton. The kid collection from Kas features a colorful and inspiring range of bedding sets, which include much more than just the basic items. In the Kas kids range, you are offered soft toys, throws and even bean bags. The soft toys collection features Bronte (dinosaur), Combi (VW van) in both green and blue colors, a penny flower and a tow truck. All made from super soft fabrics and totally safe for your kids. Cool and trendy bedding designs include the cool X-ray design that is highly popular among kids. Pillows and cool comforters are printed with inspiring prints that tickle the creativity of your kids. Comforters will keep your kid warm and comfortable. You can also purchase Kas bean bags that come with matching designs and prints for your little ones. Also if you have a toddler, designing his or her nursery is a delight with the baby Kas collection. The 100% cotton guarantee will make sure your little one rests in perfect harmony. It is easy to find and order Kas bedding products. You can find them online on the Kas Australia website, or plenty of other retail outlets that offer authentic Kas products. Of course, while buying luxury bedding, you obviously hope to get the very best, and Kas will surely deliver on that promise.